We can't put a stop to the aging process, but we can rejuvenate the face to allow for beautiful, natural and graceful aging. Facial aging becomes evident when the cheeks and temples get sunken in, skins gets thinner, lips lose their fullness, eyes hollow, and marionette lines and nasolabial folds become more prominent. Genetics, lifestyle and health are some of the factors that determine how we will age and at what rates aging will occur. With the advancement of Botox and Injectable Fillers available today, we are able to turn back the clock and take ten years off the face immediately. The result? A refreshed, younger looking version of yourself! 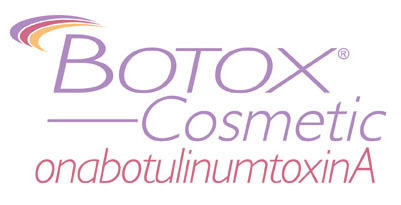 Dr. Shaw is pleased to offer complimentary esthetic consultations for BOTOX, Dysport and Injectable Fillers. Contact us today to schedule your appointment! * At The SHAW Center, we only use authentic products purchased directly from the repective manufacturers. * The dilution techniques for BOTOX and Dysport are always performed according to the manufacturer's specifications, ensuring that you receive the number of units prescribed and there is never any over-dilution.